To offer a real highlight was the focus when we started organizing this Piper Meeting. 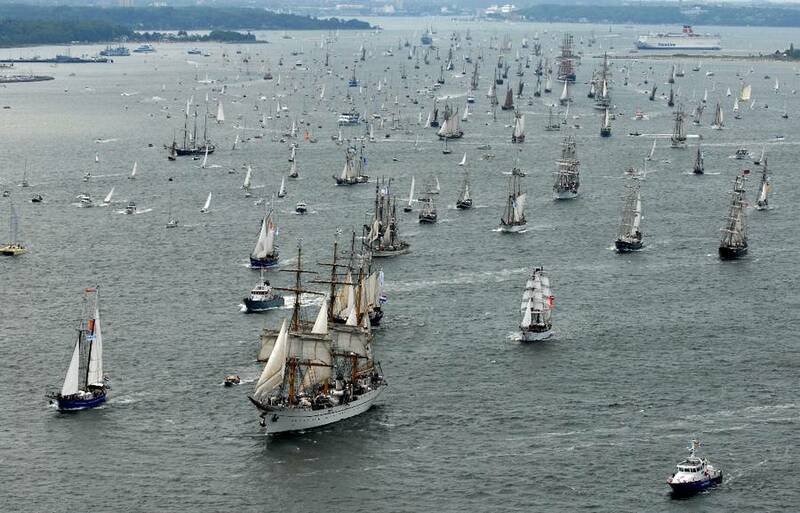 As a result the idea was born to fly with all participants to the Tall Ship Parade that takes place during the Kieler Woche. The main focus of this idea was that the flight shall be fun, simple to fly, without hectic and stress so that everybody can enjoy the Tall Ship Parade from a birds view. With the flight to Kiel both the aviation sport and the Piper family can present themselves to the Public. In addition we are an official part of the program of this event at Kieler Woche which will also be on TV. 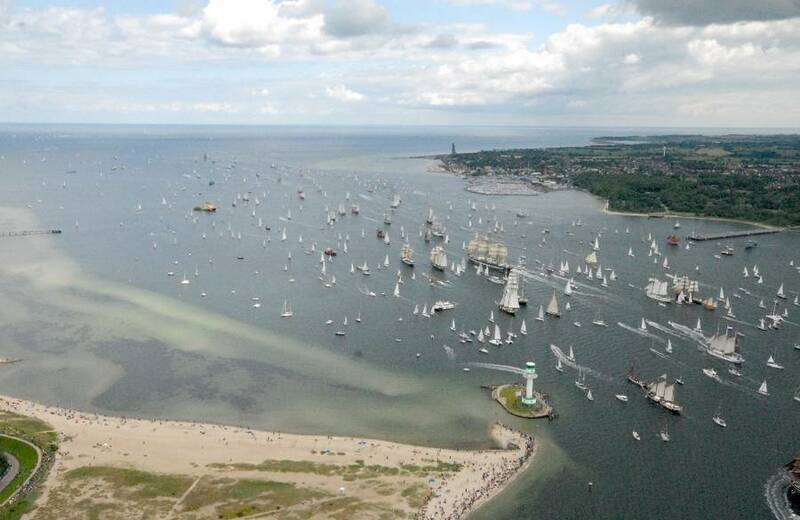 We hope and plan accordingly that all participants will join in to this flight to Kieler Woche. It goes without saying that we cannot and do not want to force anyone to join but we would be very happy if we all go together! Due to organizational reasons IT WILL NOT BE POSSIBLE TO REFUEL ON SATURDAY PRIOR TO THE FLIGHT TO KIELER WOCHE and we, therefore, ask you to refuel already on Friday respectively to arrive with full tanks already. 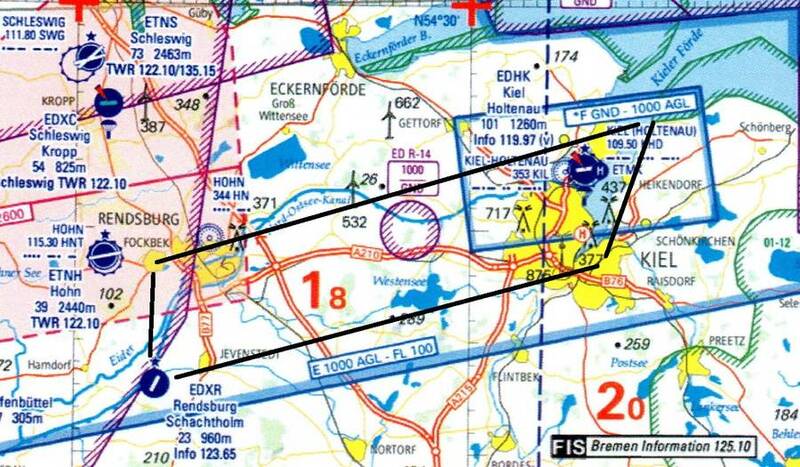 The flight to Kiel takes about 1 hour plus the flight time to Wyk respectively Nordborg. 11:00 h Rendsburg aerodrome will be closed for external traffic. 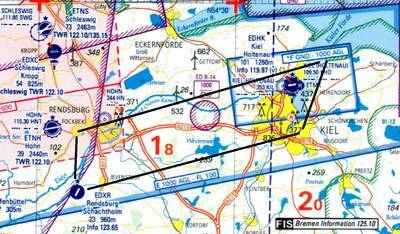 NOTAM will be published. When airborne don't climb like crazy but climb gently with the plane in front of you. Always keep the plane in front of you in sight. The flight silhouette when airborne should look about like Attachment 3. 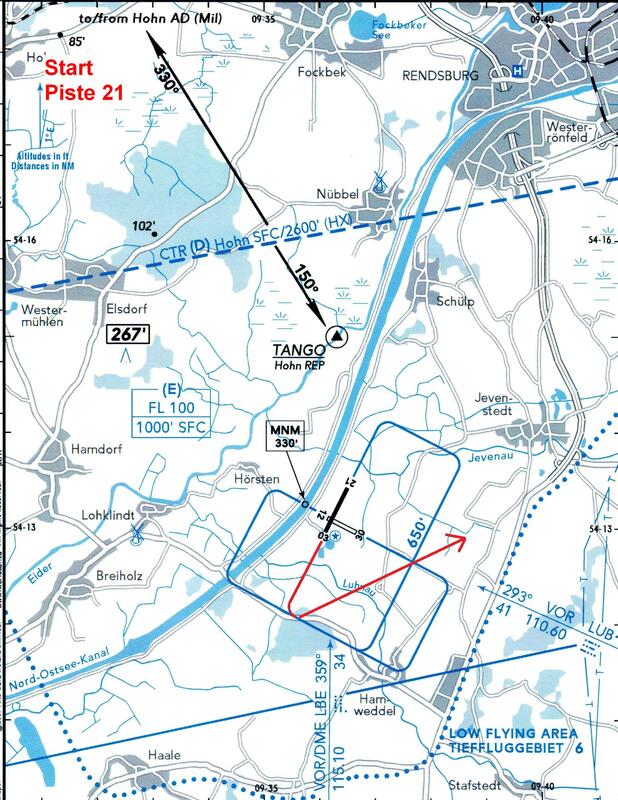 Used with permission of Jeppesen. Do not use for navigation.